[German Romanticism reaches England.] Count Benyowsky, or the Conspiracy of Kamtschatka, a Tragi-Comedy, in Five Acts, [by A. von Kotzebue] Translated from the German by Rev. W. Render, Teacher of the German Language in the University of Cambridge. Cambridge: Printed for the Authour, [sic] and sold by J. Deighton, and J. Nicholson; also by W. H. Lunn, no. 332, Oxford Street, and T. Conder, Bucklersbury, London. 1798. + 210pp, 8vo. Disbound, and wrapped in brown paper. A tight copy, on aged and spotted paper, with small closed tear to title-leaf, which also has manuscript misidentification of the author as 'J Kotz[...]' in one margin. There is no copy of this first edition at Cambridge University Library, and the only two copies found on COPAC at Leeds and the British Library. The same year saw a 'Second edition, with an elegant frontispiece', published in London and 'printed for W. J. and J. Richardson; J. Harding; Shepperson and Reynolds; H. D.
[ Frederick Samuel Boas, scholar of the drama. ] Autograph Letter Signed ('F. S. Boas') to L. E. Berman, proprietor of the Royalty Theatre, regarding 'the two versions of Faust produced by Charles Kean & Samuel Phelps'. 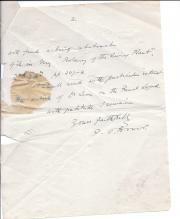 On letterhead of The Athenaeum, Pall Mall, S.W.1. [ London ]. 26 February 1932. 25 items of printed ephemera relating to The British Weleda Co. Ltd., suppliers of Anthroposophic medicines developed by Rudolf Steiner and Dr Ita Wegman, including handbills and issues of 'Weleda News'. With 3 items about the Wala Association Ltd. The 28 items dating from between 1938 and 1958: the 25 Weleda items from 24 Crawford St, London W1, and The Chantry, Fladbury, Worcestershire; the 3 Wala items from 15 Moat Road, East Grinstead, Sussex. From the papers of Major Reginald Kersey Green and his son the nuclear physicist Robert Kersey Green. The magazines are mostly in 4to, and the advertisements mostly in 12mo. Printed in a variety of styles on a range of different coloured papers, with illustrations and photographs. In good condition, on aged paper, except for one heavily-stained item, and another with light staining to back wrap. Comprising: ONE. 'The Weleda Journal' ('Gratis to all interested in the Weleda'), No. 1, September 1938. 2 The Crescent, Ripon, Yorks, 15 April 1932. Two pages, 4to, several closed tears, two small hole, one stain, 1in. dia., on p.2. , text clear and complete. "I am much obliged to you for sending me a copy of your 'Proteus' No.6 - the Goethe Commemoration Number. It was a happy idea to concentrate on this centenary. My interest naturally centres on the 'Metamorphosis of Plants'. Had Goethe lived as a post Darwinian his keen insight would have led him to a rather different statement of his great synthesis. He would have accepted I am pretty sure a theory of segregation rather than a theory of metamorphosis. Visiting card, bearing autograph note to 'Mr Palgrave [Francis Turner Palgrave, 1824-1897? ], [and] The Misses Palgrave'. No place or year (6 June). One page, 12mo, asking her friend to dinner "to meet a friend from the country", fearing that "there is small chance of finding you disengaged" with such late notice. 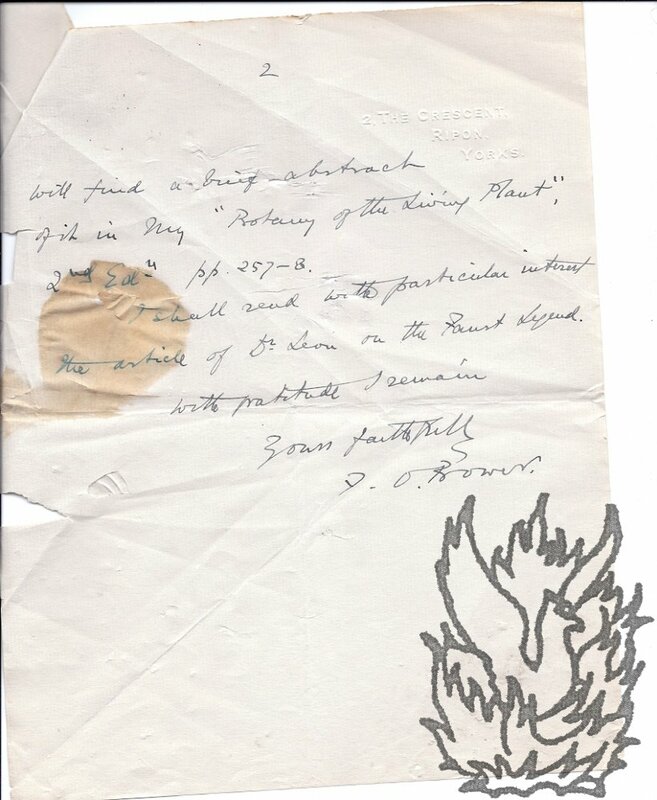 Autograph Letter Signed ('Edgar A. Bowring') to Thomas Flood. 13 November 1873; on letterhead 5 Lewes Crescent, Brighton. 12mo: 4 pp. On lightly creased paper, with spotting and some staining to the verso of the second leaf of the bifolium. Apologises at length for not being able to attend 'the next General Public Meeting [...] of the Committee for Sir E. W. Watkin's [Sir Edward William Watkin (1819-1901), railway entrepreneur] Election'. 'It is unnecessary for me to inform the Committee how anxious I am for the success of the Liberal cause on this as on all other occasions [...]'. He is at present 'quite unequal to any violent exertion or excitement & certainly could not make a speech to a large meeting.